Meet Nicholas Trivisonno, who plays "Crawford". Nick is currently a senior at Interlochen Arts Academy. Nicholas is an accomplished theatre actor who has appeared in "A Flea In Her Ear" and "Henry V". 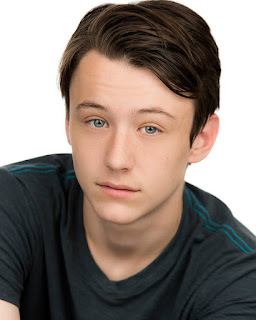 He was the lead character “Jake Campbell” in the Web Series "The Popular Party"
Nick has also appeared in the feature film “Predatory Moon” and on short films such as “Harbinger”, "Water Balloons", and "Love is a Flower". He was also a major part of putting the award-winning short film "Goldfish" into production in 2016.